President Mohamed Morsy said during his first visit to Sudan on Friday that cooperation between the Islamist regimes in Cairo and Khartoum does not pose any threat, and yet they both face "enemies." "We in Egypt and Sudan are integrated, and you will find enemies for this integration," Morsy stressed before thousands of people, including his Sudanese counterpart President Omar al-Bashir, at Al-Nour mosque in Khartoum North. It was not clear to which "enemies" he was referring. "This cooperation is not against anyone," Morsy said, adding the that two countries "don't seek a war or aggression" against others. Morsy arrived on Thursday evening in Sudan, which Egypt jointly ruled with Britain until 1956, and was to leave later Friday. On Wednesday, Egypt summoned the United Arab Emirates charge d'affaires to urge a quick conclusion to an investigation into Egyptians detained in the Gulf state on suspicion of links to the Muslim Brotherhood. The detained Egyptians are suspected of leading a Brotherhood cell that collected sensitive information and had links to Emiratis in custody on suspicion of national security offences. Both Egypt and Sudan also face internal turmoil. More than 30 Brotherhood offices in Egypt have been attacked in protests against the president in recent weeks. Critics accuse both it and Morsy of mirroring tactics used by former President Hosni Mubarak against the opposition. At least 11 people were killed in clashes outside the presidential palace in December after Morsy adopted sweeping powers, which he later partially rescinded. Bashir, an army officer who seized power in a 1989 coup, was elected in 2010 but foreign observers said the vote failed to reach international standards. Opposition parties and armed rebels have been seeking an end to his regime. One leading opposition member, Sudan's veteran Islamist Hassan al-Turabi, was among a group of political figures who met Morsy on Friday at a luxury hotel. 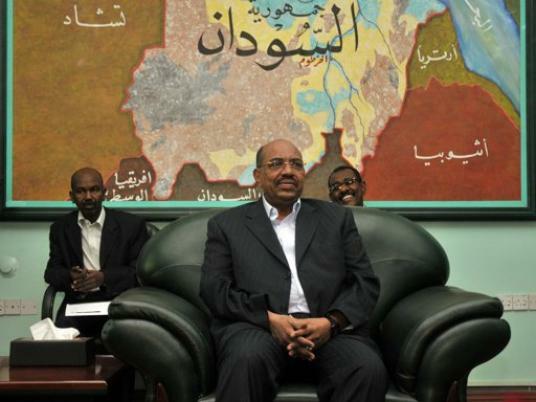 He later told AFP the "revolutionary" Egyptian regime should foster tighter ties between its people and those of Sudan. Turabi said grassroots links must be developed because Morsy's regime "is a popular government elected by the people." "The people should be linked with the people. It's more lasting than a government with a government, especially one which is revolutionary and one which is a dictatorship," he said, using the latter term to describe Bashir's government. He said both opposition and government parties were given about 10 minutes each for brief talks with Morsy. Turabi was a key figure behind the coup which brought Bashir's regime to power but later broke with him and formed the Popular Congress opposition party. Turabi now says Bashir's government should not be associated with Islam.